I just wanted to show you how versatile the Enamel Powders can be. I love how it turned out ! I finished it off with a layer of Instant UV resin to give it some extra protection, but just image how you could use the other Enamel Powders & Piccolos to create some fantastic accessories ! Don't forget to keep checking back all week to see some of the fantastic creations from the rest of the Design Team. 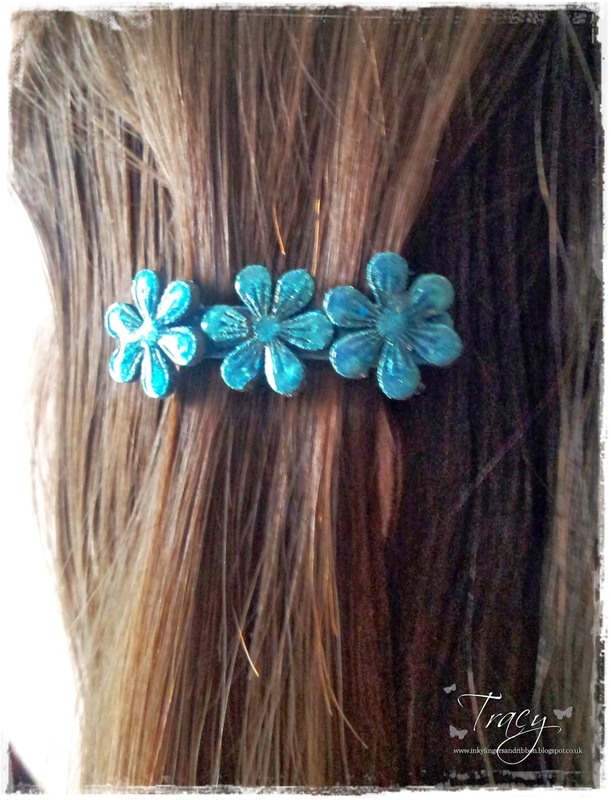 Love the flowers on the barrette. What a wonderful idea to add some beautiful accents to your hair.